Just announced: Paul will be joining Frank Turner’s Lost Evening III concert series in Boston, MA on the first of four nights of shows (Thursday May 16th). The main stage for the evening will see sets from Frank Turner (solo), Louden Wainwright III, Jenny Owen Youngs, and Hayley Thompson-King. 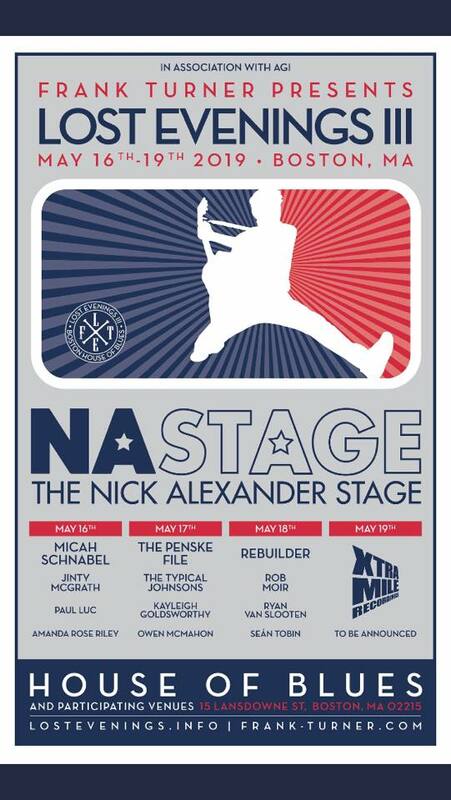 Paul will be performing a solo set on the Nick Alexander stage along with Micah Schnabel, Jinty McGrath, and Amanda Rose Riley. The sold-out show at Club Cafe (Pittsburgh) in January was a hell of way to kick off the new year. Thanks to all who braved the weather! Next up, Paul is supporting Lucero with a solo set at Mr. Small’s Theater in Millvale, PA. Tickets here: https://bit.ly/2RWFaWd - and don’t wait, this one normally sells out too! Here’s a piece that was nominated for a Mid-Atlantic Emmy Award. Filmed in Pittsburgh at Paul’s motorcycle workshop and The Church Recording Studio. Check out the full session from Paul's visit to Paste Magazine's Studio in NYC, NY. Take an in-depth look at the making of Bad Seed HERE. Brooklyn Vegan premiered BAD SEED in it's entirety; READ & LISTEN. 10 New Artists You Need to Know: January 2018 - read the full article here. 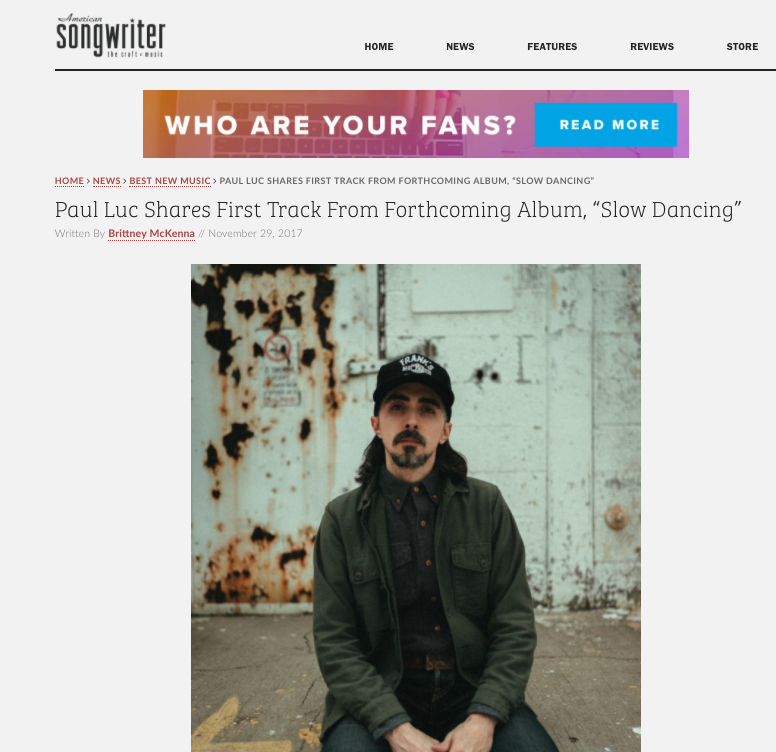 American Songwriter premiere of the first single from BAD SEED, called "Slow Dancing." READ MORE & LISTEN. New record announcement! BAD SEED, out Feb 9th.